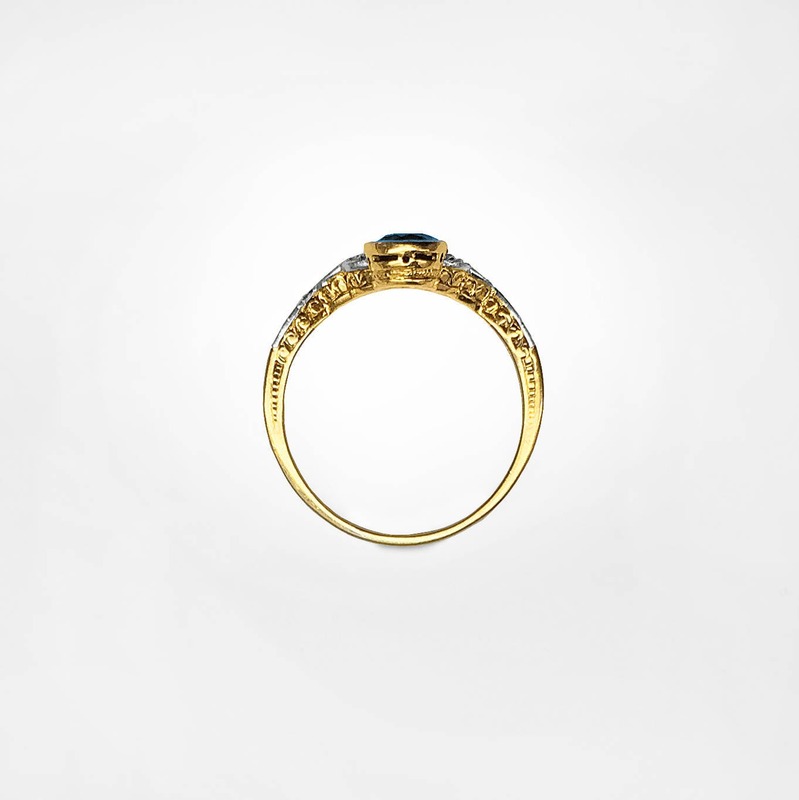 This highly detailed 19th century ring came to us in a very personal way. The ring was sold to me by my parents' best friends, whose family it had been in for decades. They brought it with them when they immigrated to Buffalo, NY from Berlin. It is bezel set with 2 round faceted fine quality natural blue sapphires of a deep royal blue color. 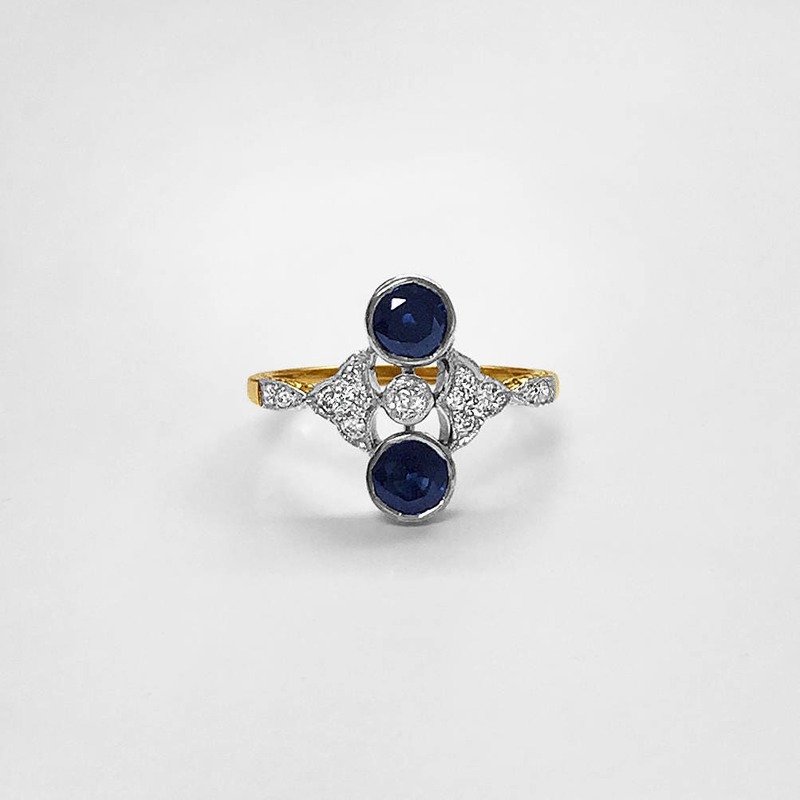 Each sapphire measures 5 3/4 millimeters round. The sapphires weigh totally 1.35 carats. 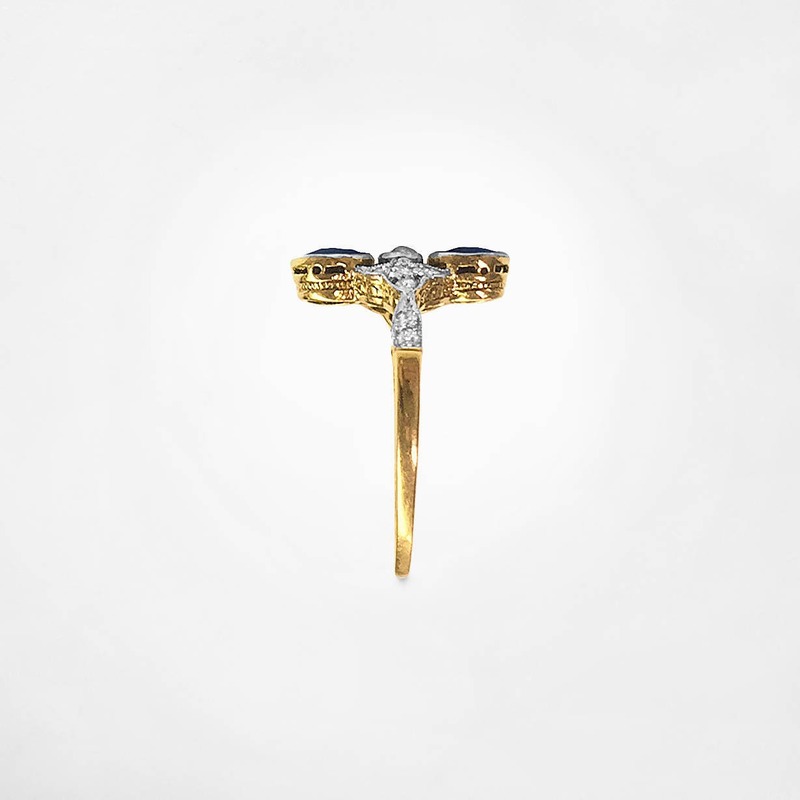 The center of the ring is bezel set with a diamond which is flanked on each side by 6 additional circular cut diamonds. The total weight of all 13 fine matched top quality diamonds is approximately 1/4 carat. The entire ring is in excellent condition showing little signs of wear and retaining all of its original engraving, chasing and beautiful detail. The ring measures just over 6 tenths of an inch (15.5 millimeters) from top to bottom. The ring is currently a size 7 1/2 but could be sized easily to fit your finger.